Marking a new chapter in the history of one of the world’s greatest films, the release of Abel Gance’s Napoleon is the culmination of a project spanning 50 years. Academy Award-winning film historian Kevin Brownlow and the BFI National Archive have completed a new digitally restored version of this cinematic triumph, and audiences will be able to experience this extraordinary film complete with Carl Davis’s magnificent score on Blu-ray. 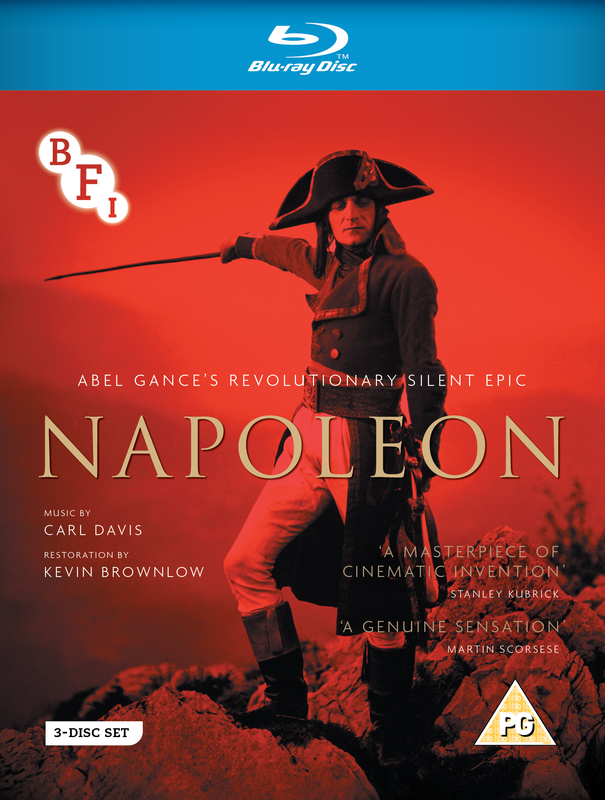 Originally conceived by its director as the first of 6 films about Napoleon, this five and a half hour epic features full scale historical recreations of episodes from his personal and political life, from the French Revolution to the heroic arrival of French troops in Italy that marked the beginning of the First Italian campaign of 1796. Utilizing a number of groundbreaking camera and editing techniques, Abel Gance’s Napoleon offers one of the most richly rewarding and thrilling experiences in the history of cinema, a brilliant pairing of music and film, comparable to grand opera in its intensity, offering dazzling scenes of unparalleled brilliance. The first edition of Napoleon Blu-ray set is now sold out. This second edition will be in standard plastic packaging with slipcase, and include a booklet featuring essays on the film and a shorter version of the interview with Carl Davis. The discs and their content will be identical to the first edition. - The Charm of Dynamite (Kevin Brownlow, 1968, 51 mins): BBC Documentary on Gance's silent films narrated by Lindsay Anderson.